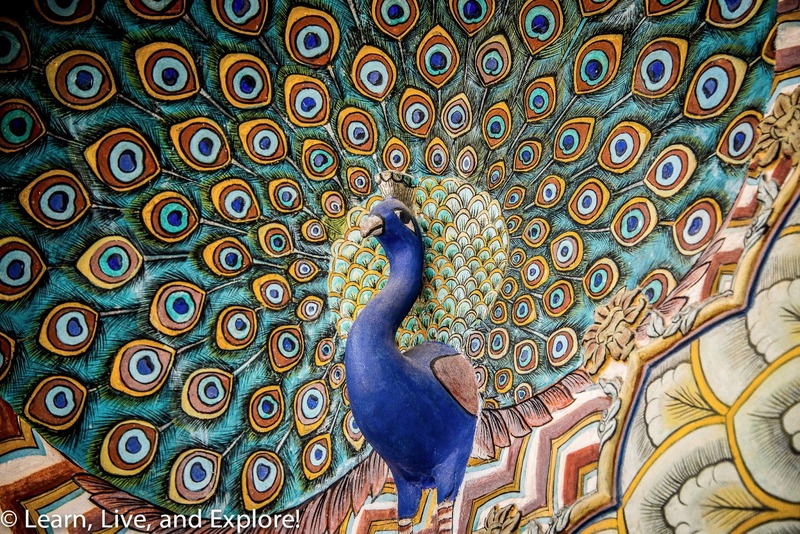 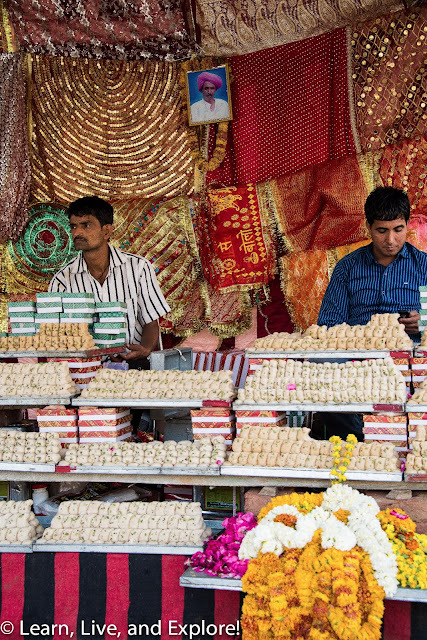 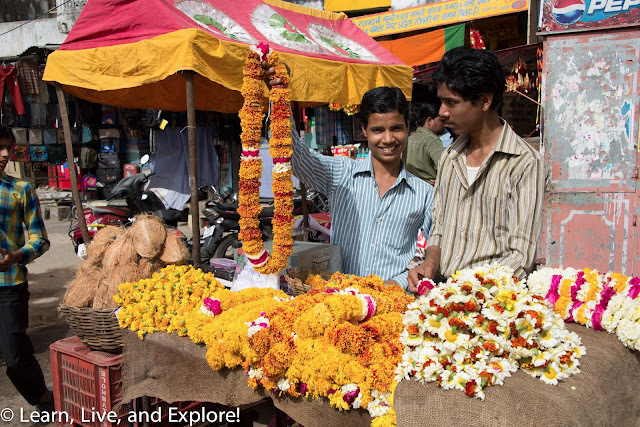 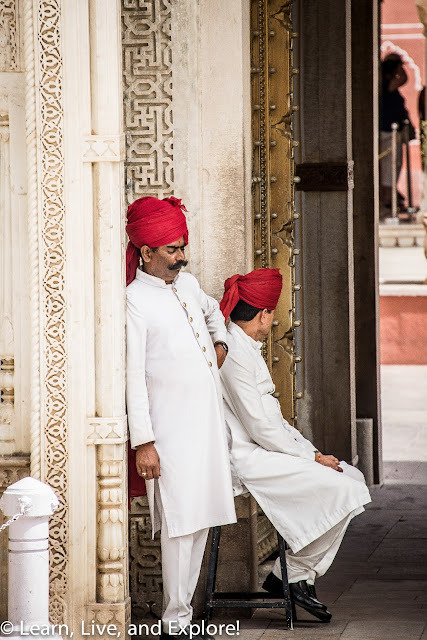 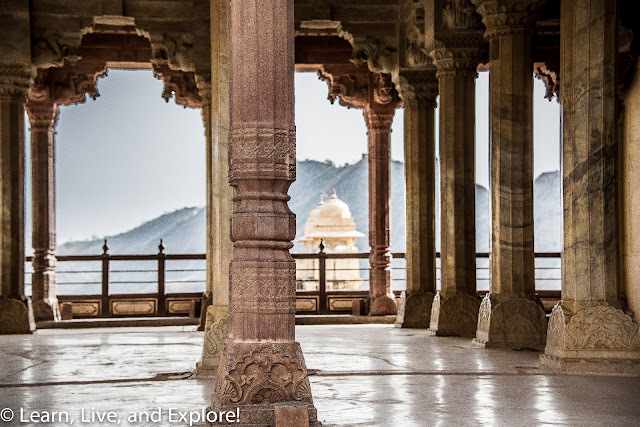 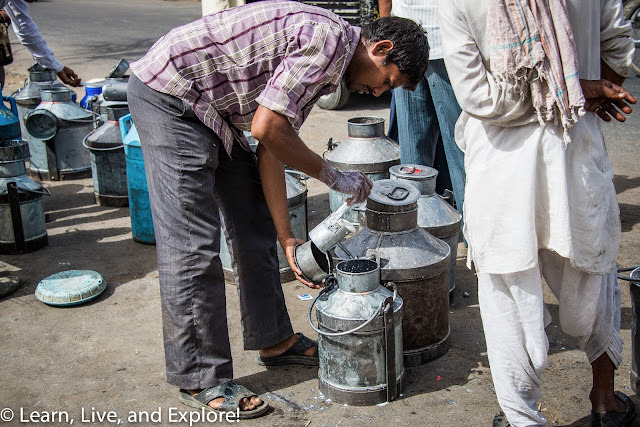 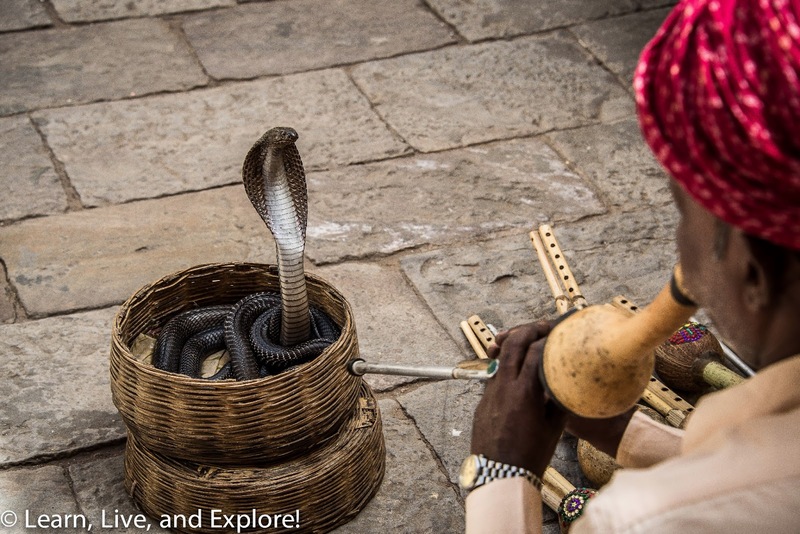 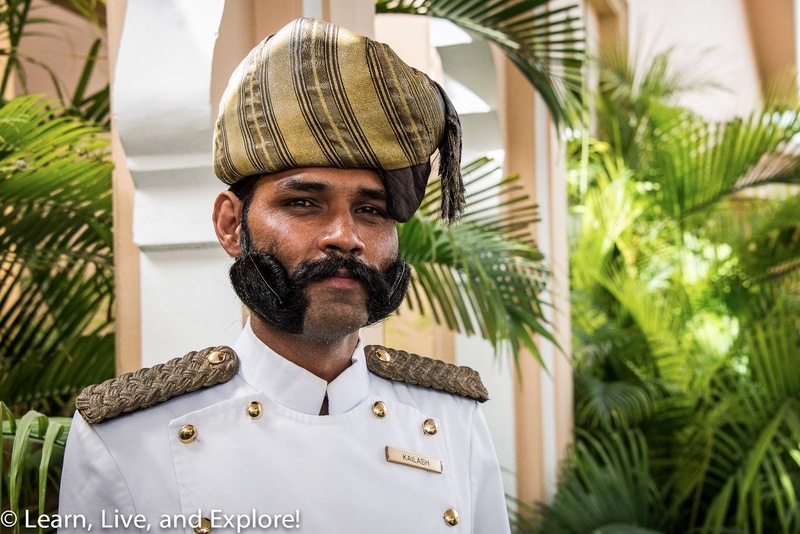 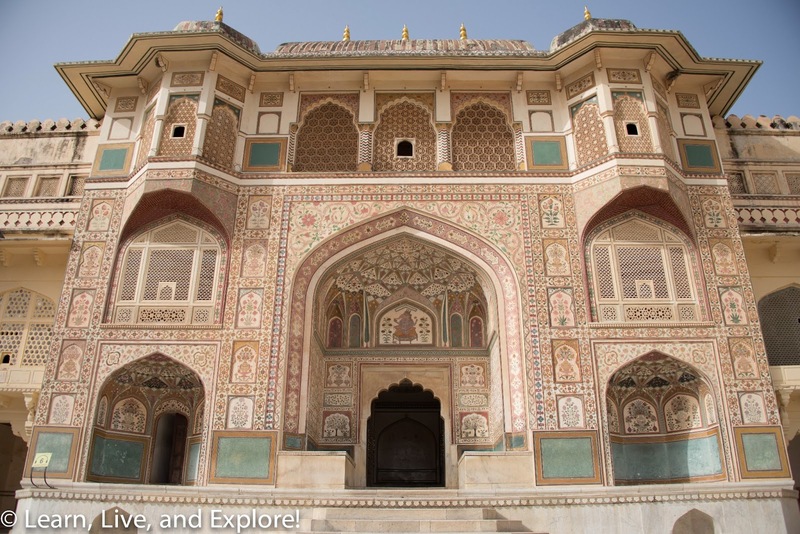 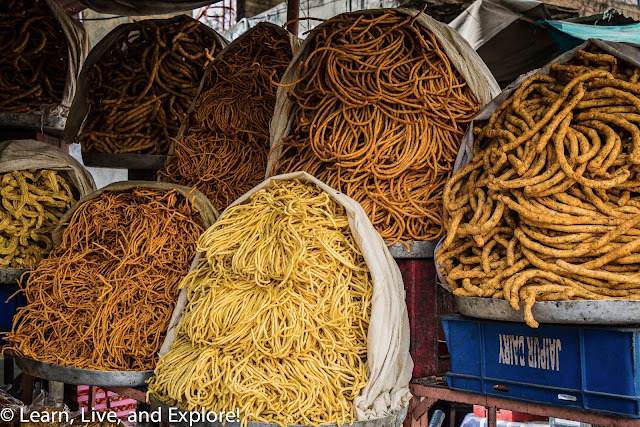 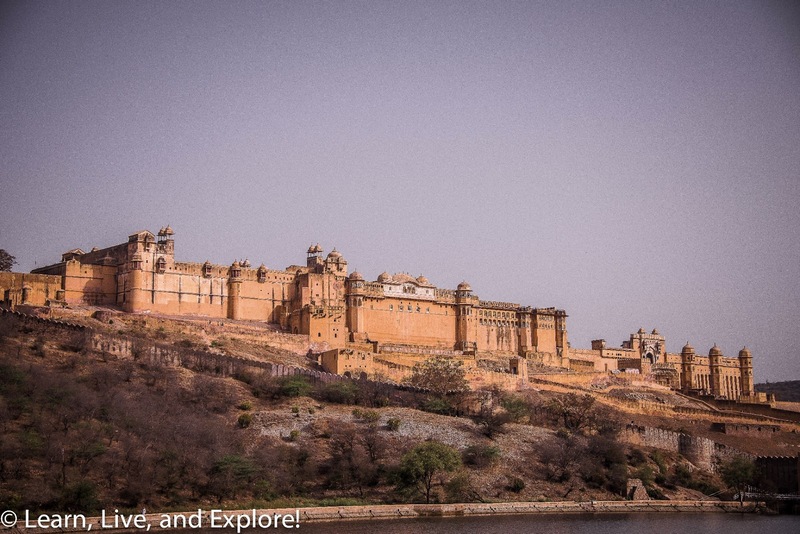 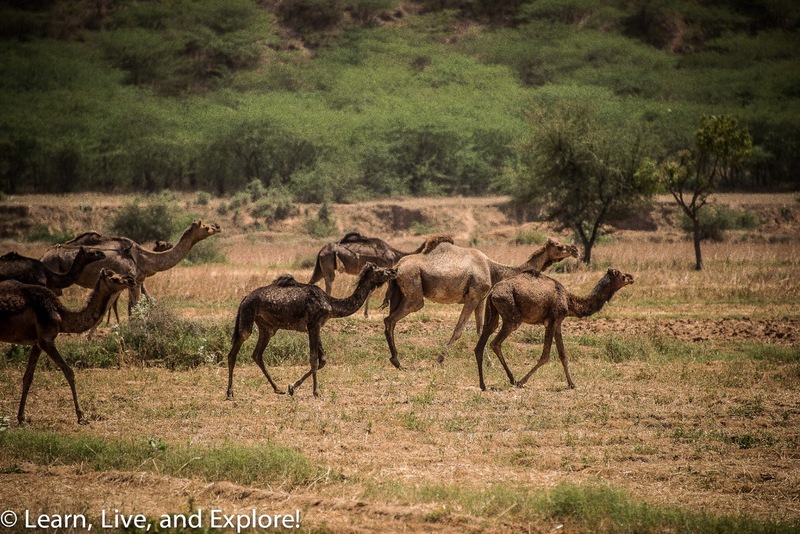 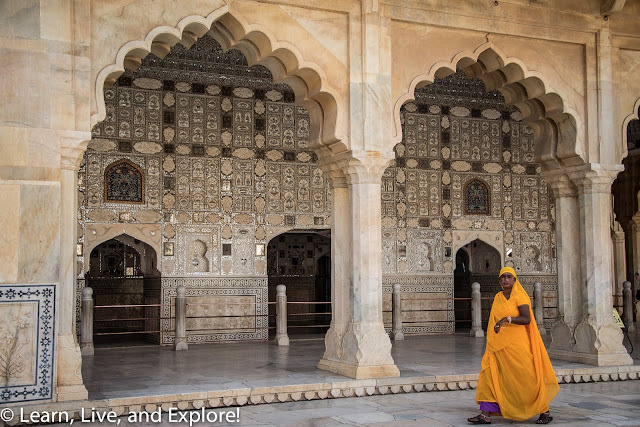 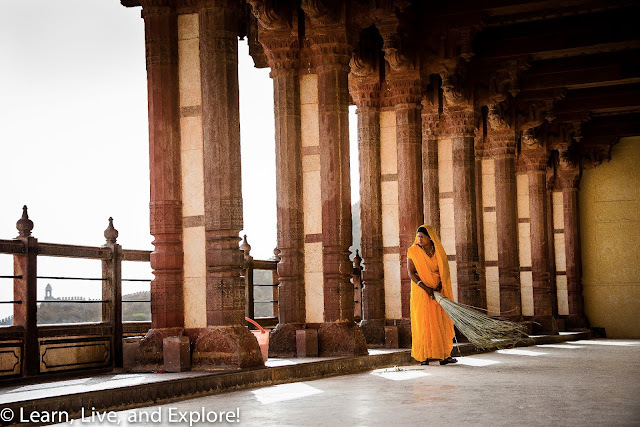 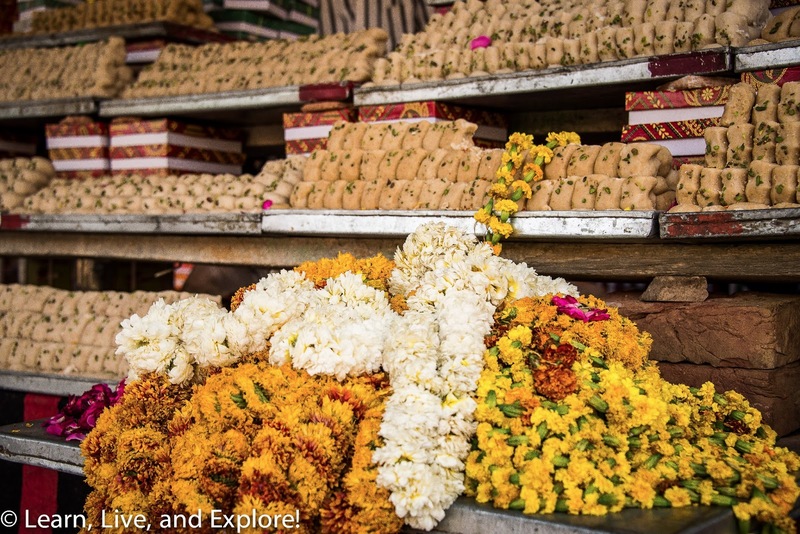 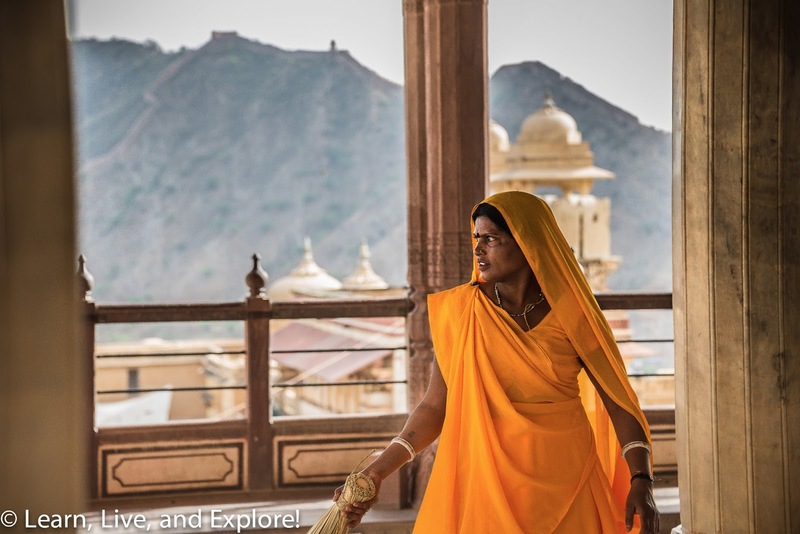 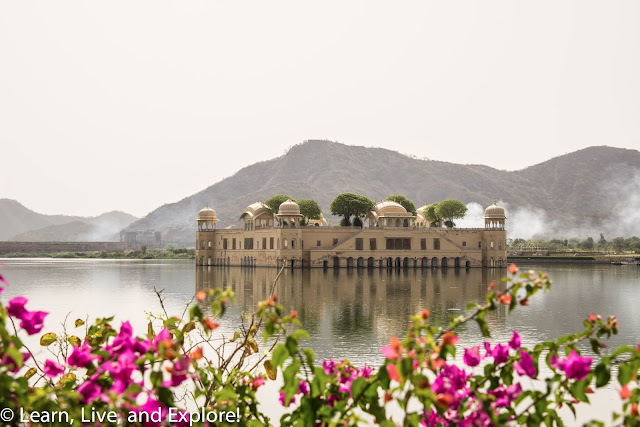 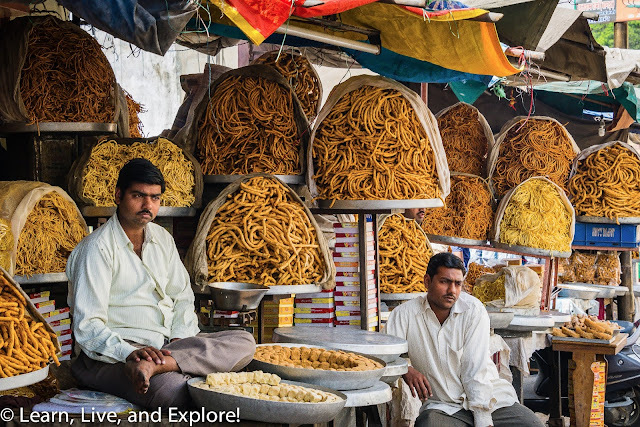 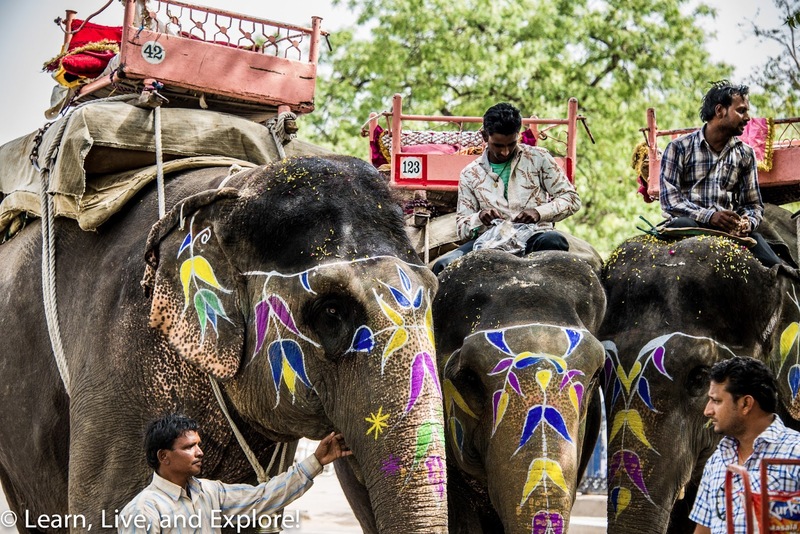 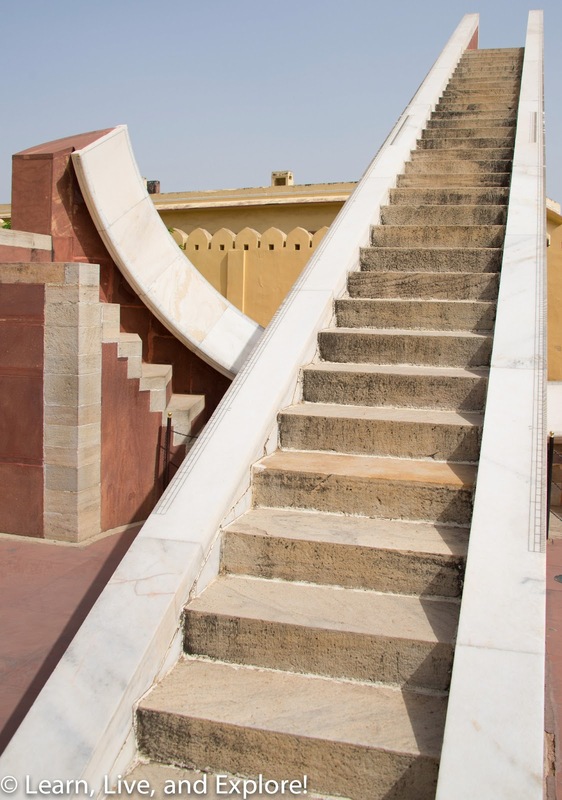 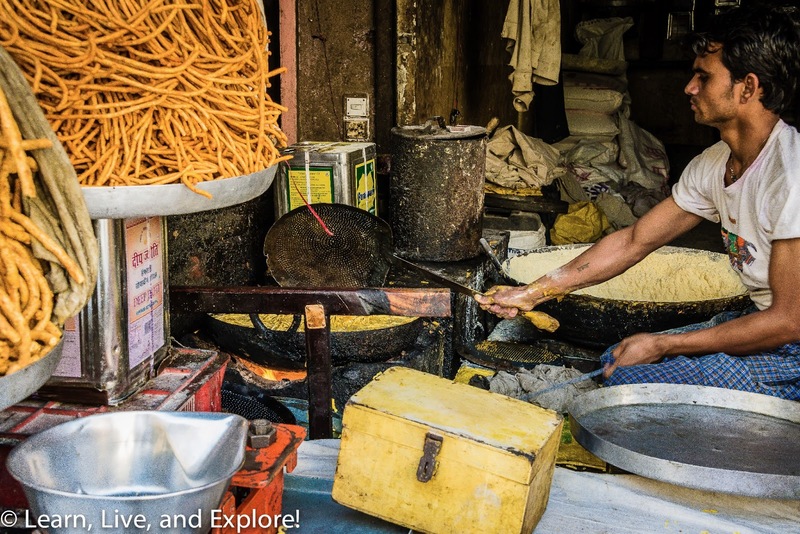 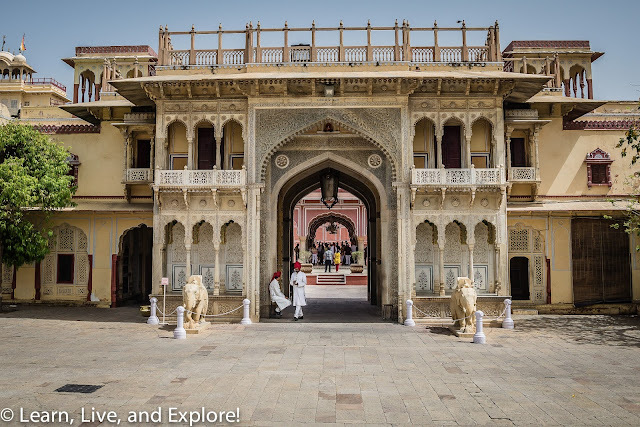 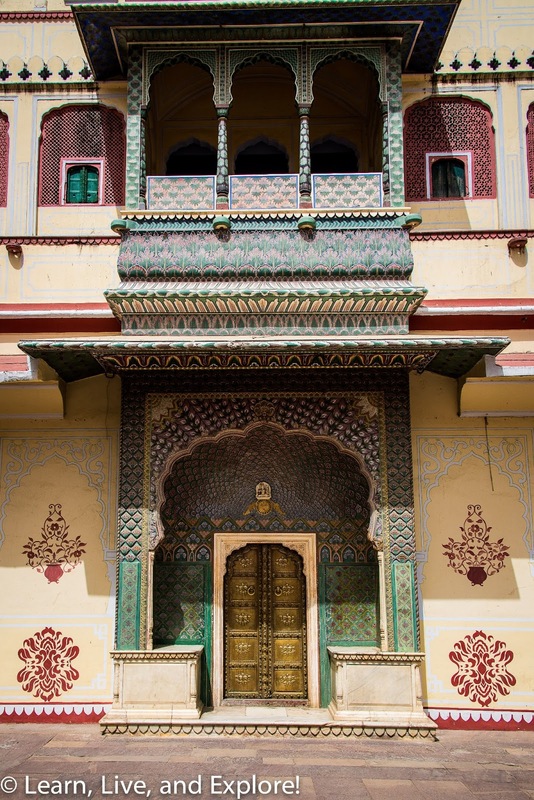 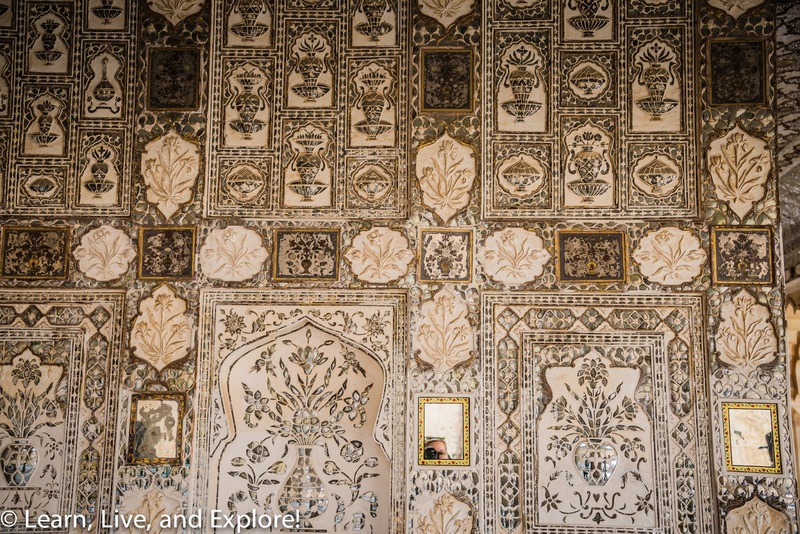 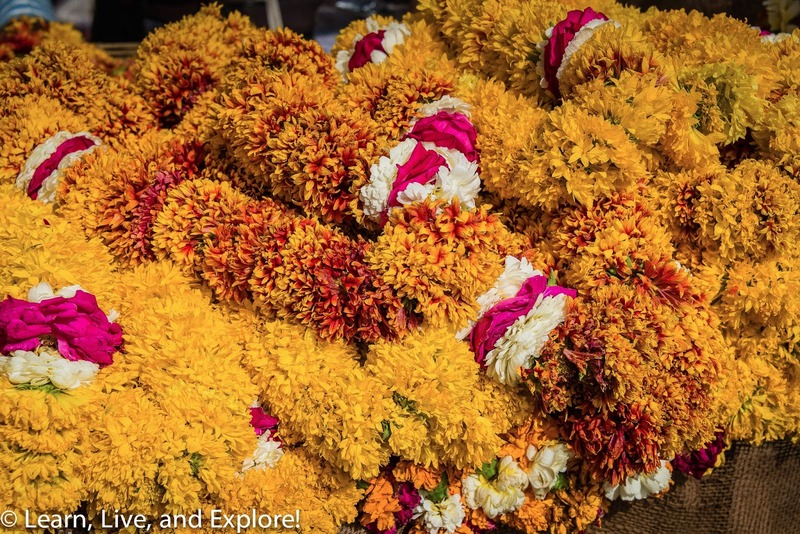 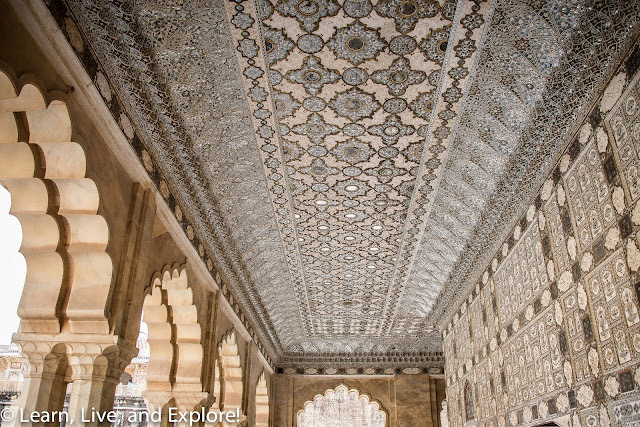 India - Jaipur (Golden Triangle Part 3) ~ Learn, Live, and Explore! While the Taj Mahal was my favorite sightseeing stop on the Golden Triangle tour, Jaipur was by far my favorite city. 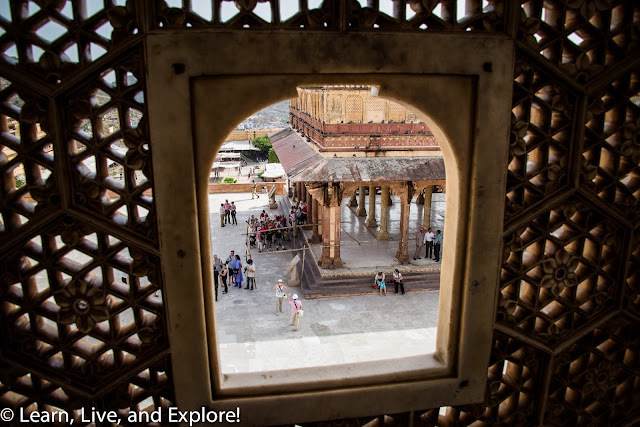 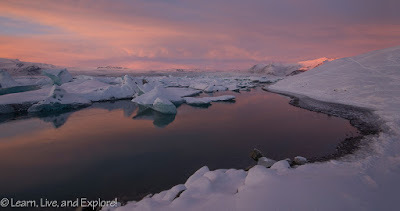 You can see most of the major tourist areas all in one day. My day started with a tour of the Amber Fort and Palace just outside the city. 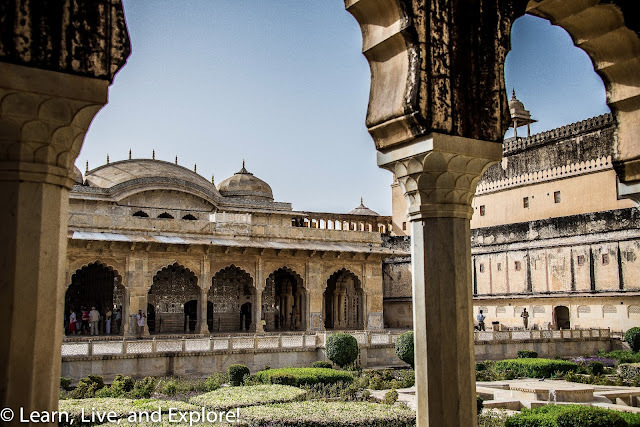 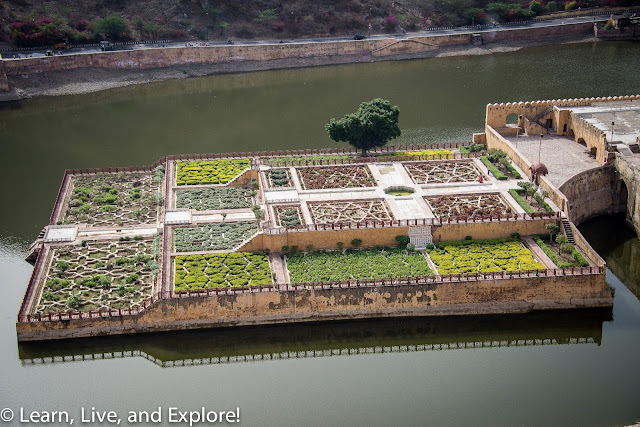 Unlike the Mughal structures in Delhi and Agra, this fort was built by a Hindu king, Raja Mansingh, and is a good example of Rajput architecture and design. Within the palace, you can still see original painted frescos on the walls and a building entirely decorated using shaped mirror fragments. Normally, tourists have the option of taking an elephant ride up the steep ramps to the palace's main gate, but as I mentioned in my Delhi post, the elephants were on a break for a holy holiday. 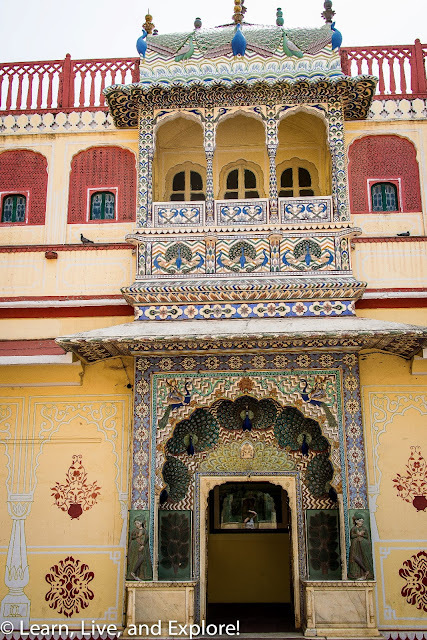 We could have opted for a jeep ride up, but it was more convenient to just have my driver take me to a back entrance. 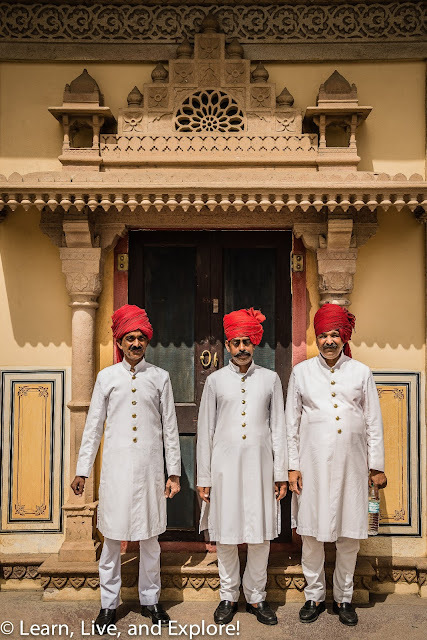 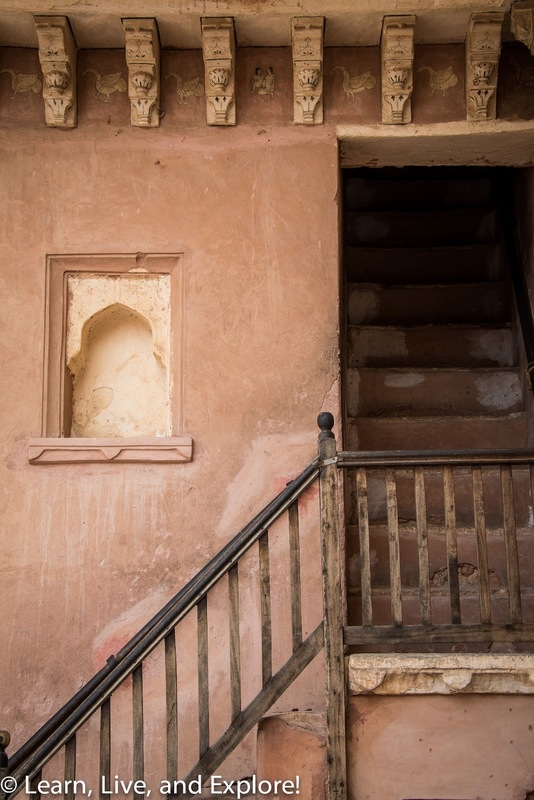 Jaipur is also referred to as the Pink City because in advance of a visit from Prince Albert in the late 19th century, the Raja at the time decided to paint all of the buildings a coral color with white accents. 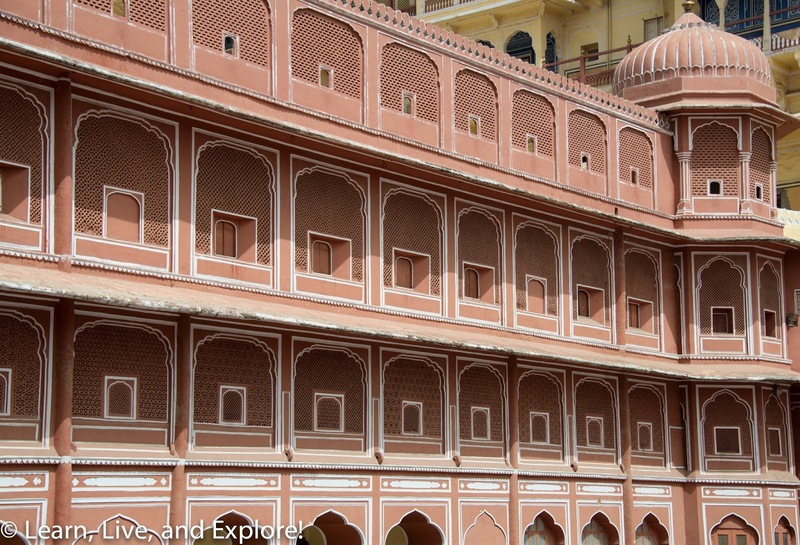 Upon seeing these painted buildings, Prince Albert remarked on what a beautiful pink city the king had - clearly Prince Albert did not have an eye for color because coral is not pink! The main stop within the coral walls is the City Palace, still a royal residence for the current teen King, where you can tour parts of the palace complex including a museum of royal clothing, the King's reception room, and Jantar Mantar - a large astrological park and observatory built by Raja Jai Singh in 1728 with several of the world's largest sundials. From my hotel, I had a view of the Water Palace, with its bottom floors intentionally flooded in order to cool down the palace in the summer months. There are future plans to turn this structure into a restaurant, but for now it's abandoned and access is restricted. 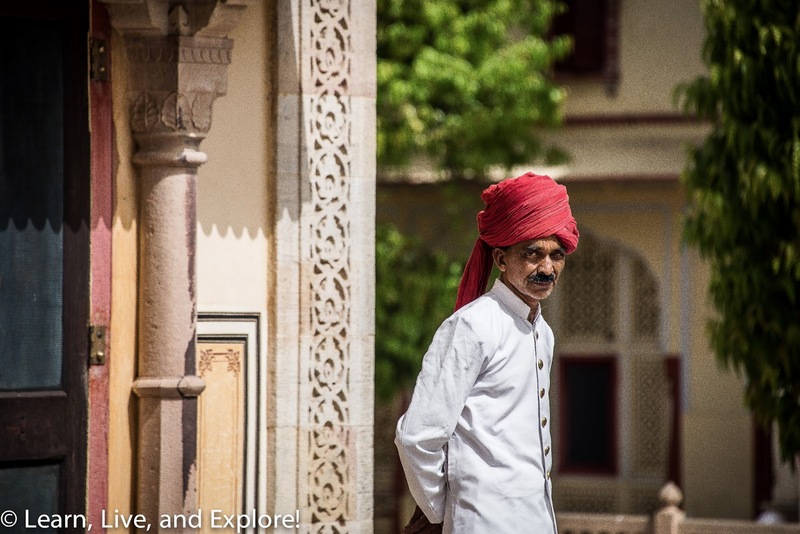 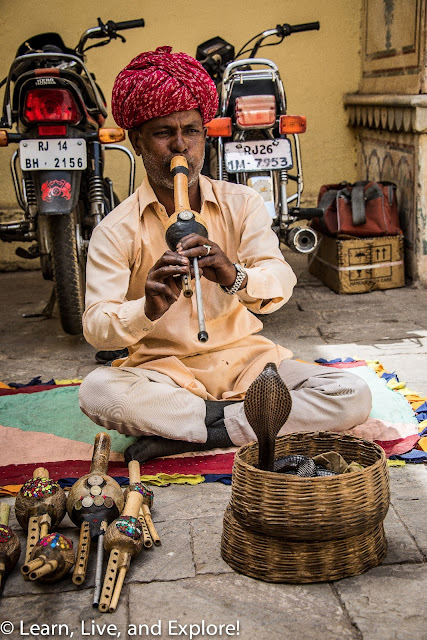 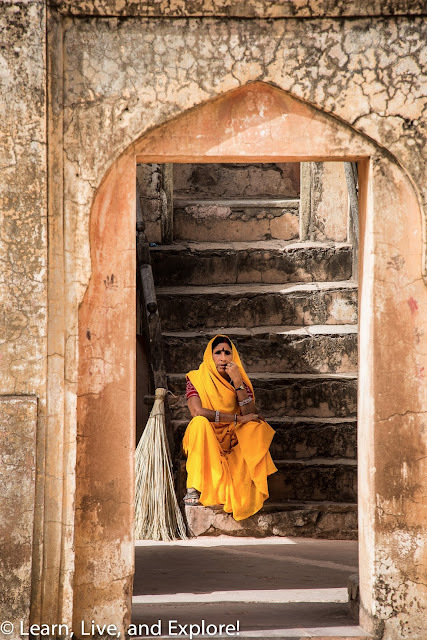 While I enjoyed touring the city, I have to say my favorite part of Jaipur was the people. 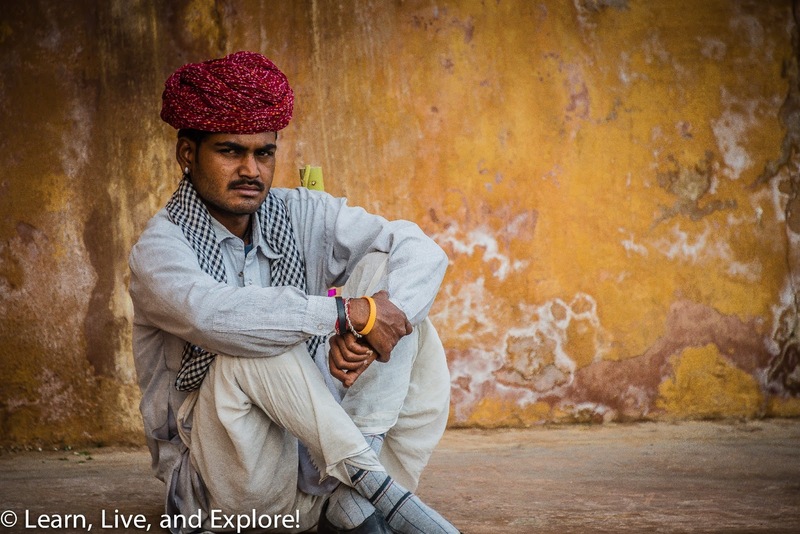 I think it was one of the most inspiring spots for photographic opportunities showing daily life of the Rajasthani people, and I'm really happy with a lot of the scenes I was able to capture. 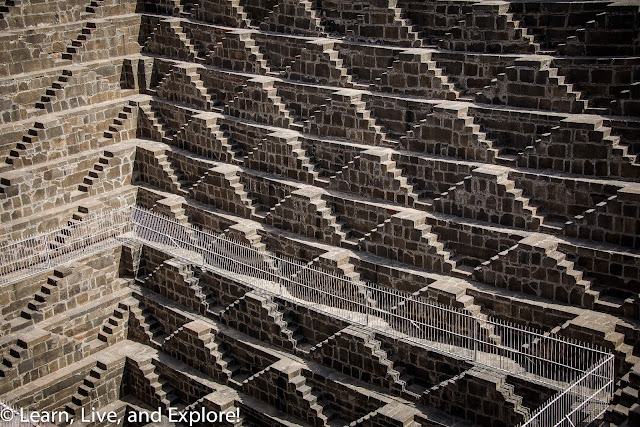 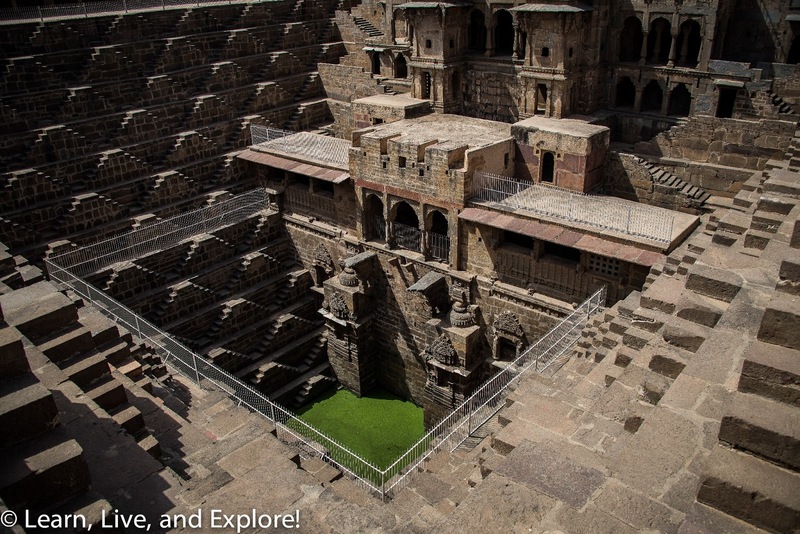 Finally, just about 90 km outside of Jaipur is a small town called Abhaneri where one of India's oldest and deepest step wells is located. 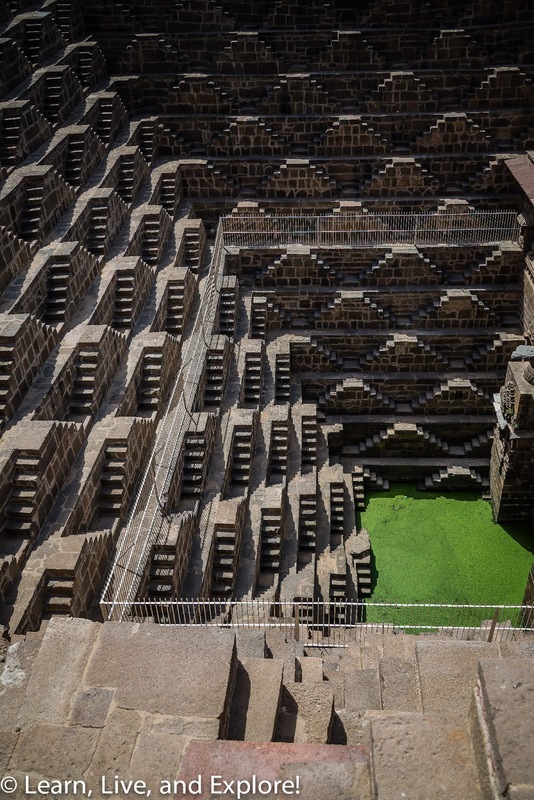 Chand Baori is thought to be over 1000 years old and was built as a reservoir to be used for royal baths in the summer and for ritual bathing before worship in the nearby temple. This step well is 13 stories deep and has 3,500 steps that, when photographed with the sun creating contrast areas, remind me of an M.C. Escher tessellation.